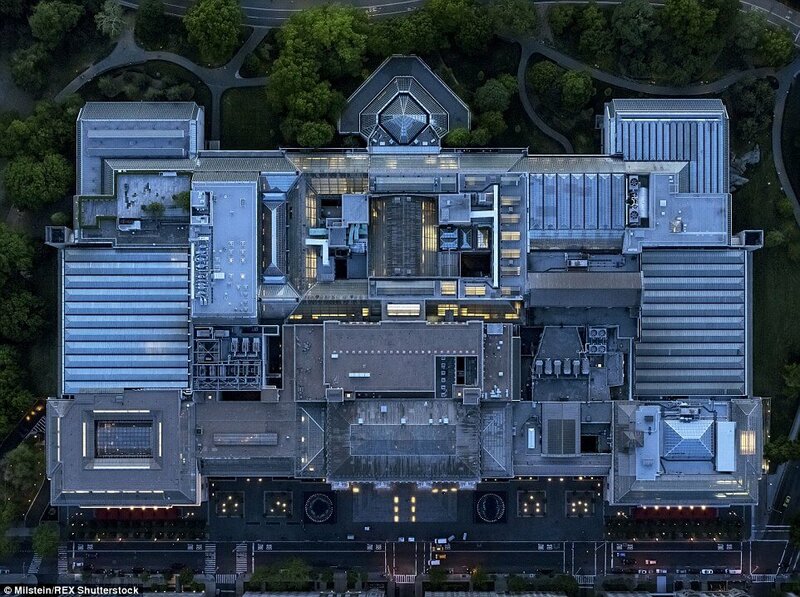 Photographer Jeffrey Milstein wanted to take stunning photos of the city and he went to extraordinary efforts to accomplish this. 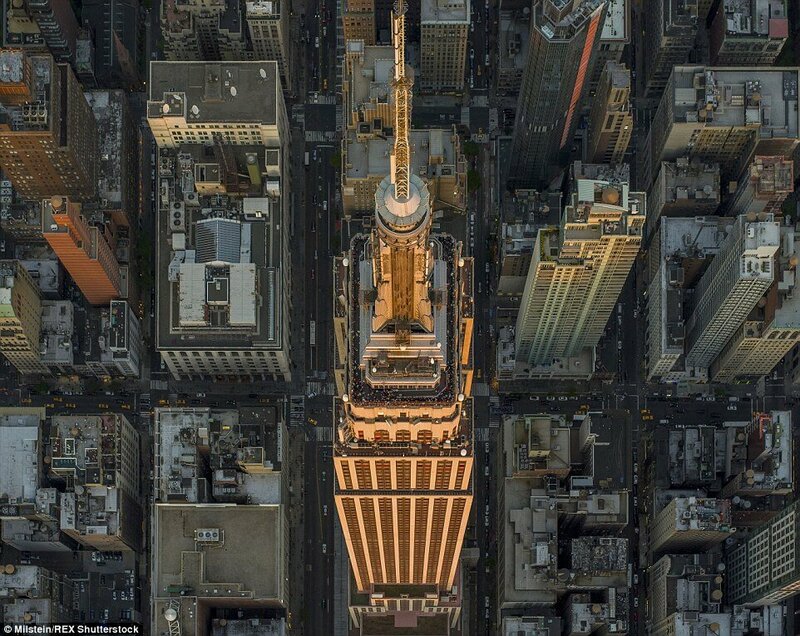 The results are pretty breathtaking as you can see, the usual and famous landmarks are featured like the Empire State Building, The Statue of Liberty and Times Square. 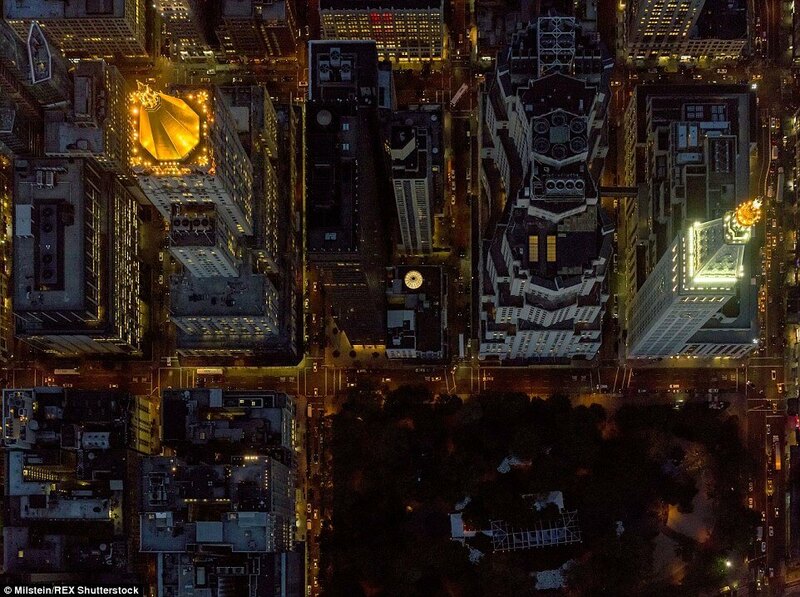 However along side these popular places, Jeffrey also photographed a few places that you don’t usually see on newspapers and websites like a few residential neighborhoods and housing development areas. 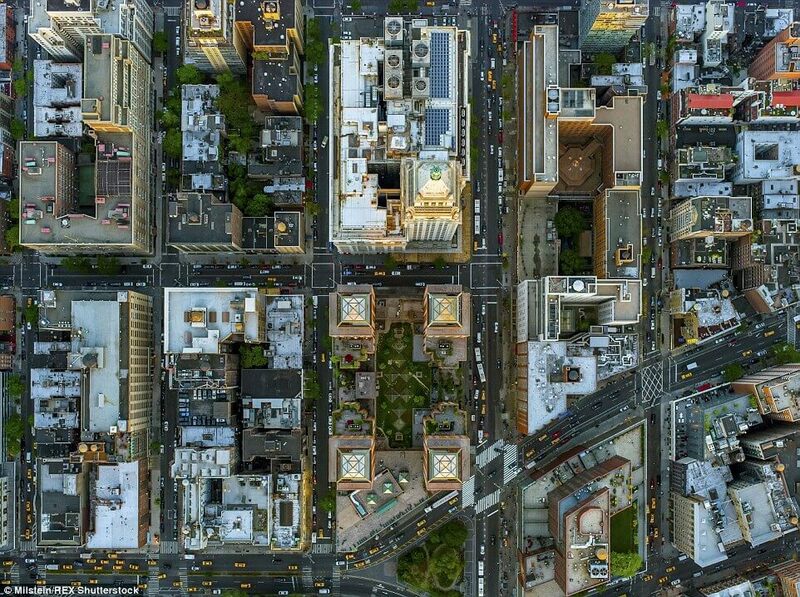 Have you ever heard of Stuyvesant Town? 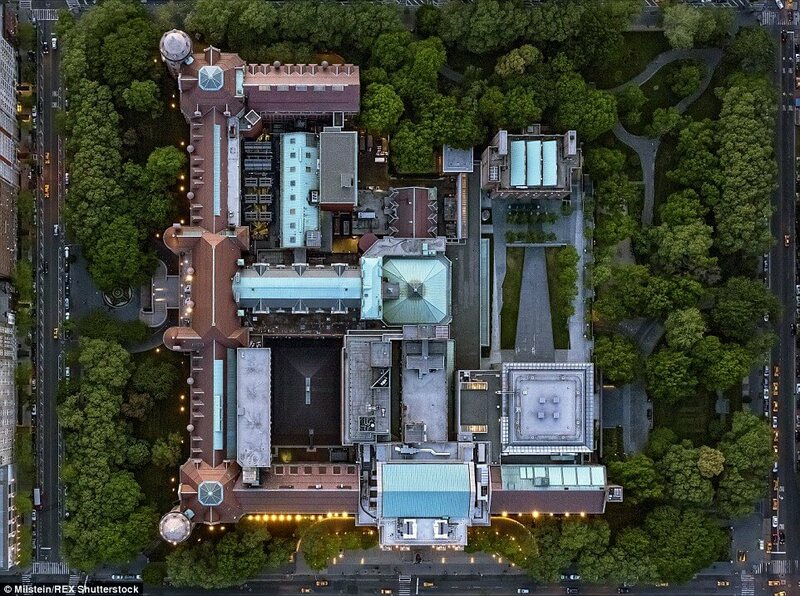 It’s a beautiful area with brown buildings that form an interesting geometric pattern when viewed from above. 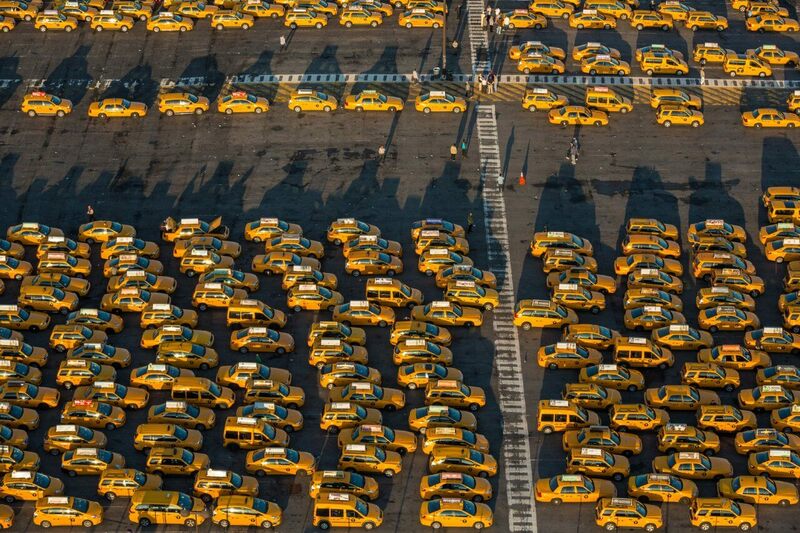 The photographed wanted to document the unique patterns and lettering and show the complexity of cities like New York City. 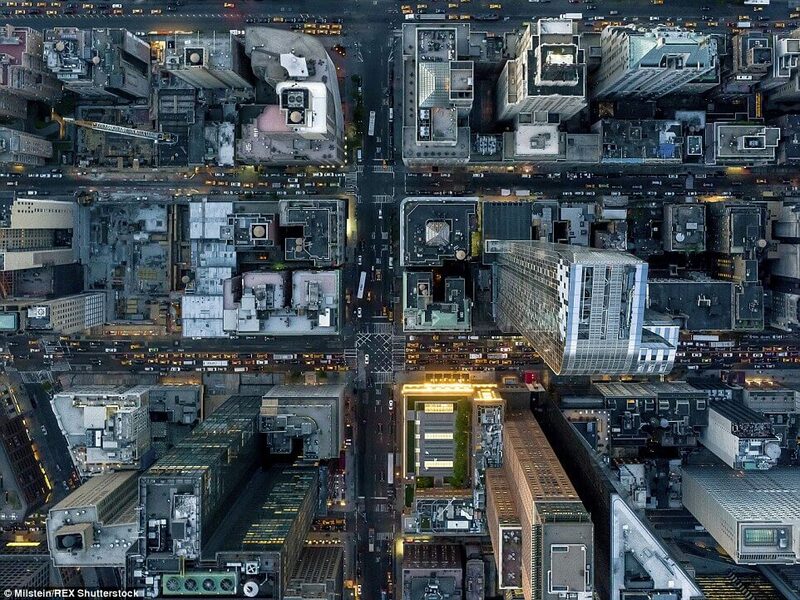 He prefers to show airports, container ports and residential areas or commercial areas that grow over time and all connected by roads and highways, could be viewed as living organism. 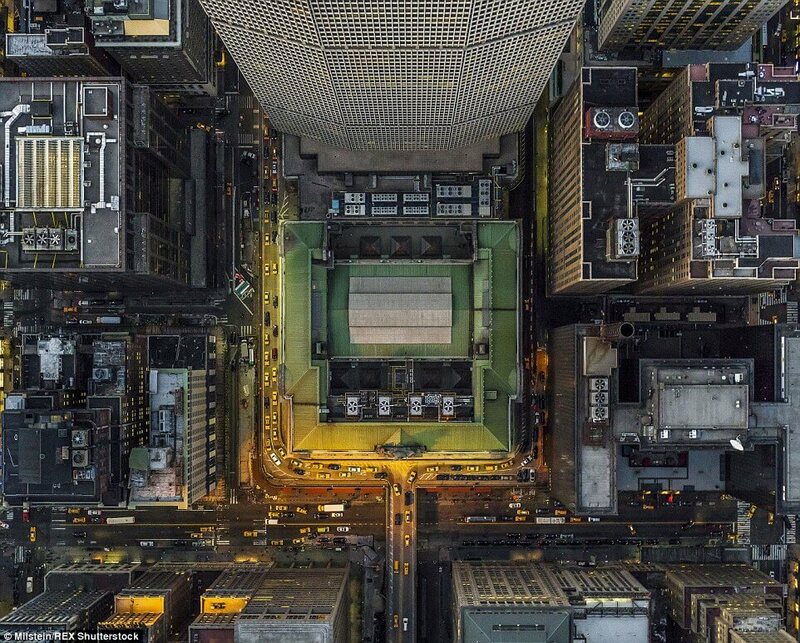 There is something unique and beautiful with taking photos from an altitude of one to two thousand feet. 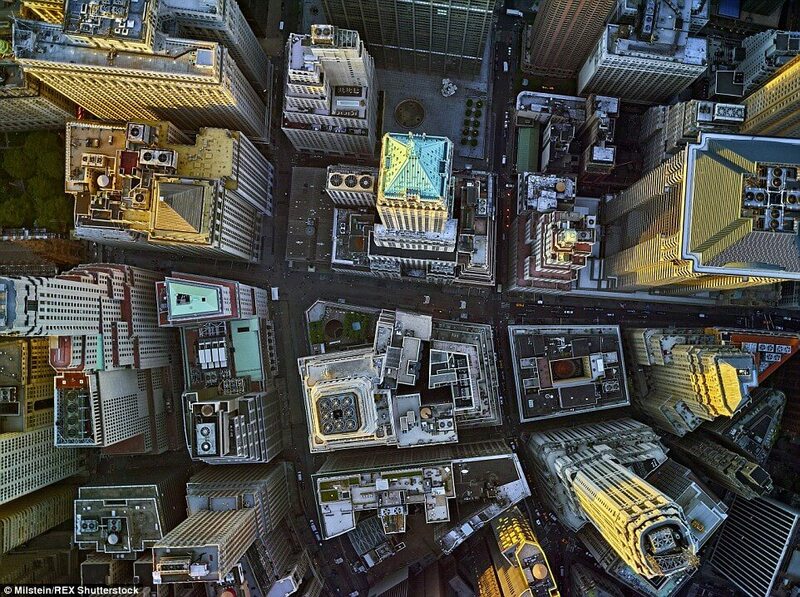 At this height a view opens up leaving you breathless and showing you things you never see from the ground, yet it is not too high so that you miss the little details. 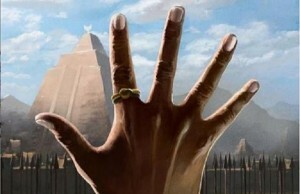 As Jeffrey says, you can still see details like the hand of the architect like in the Masonic inspired patterns of The Park La Brea housing development in Los Angeles. 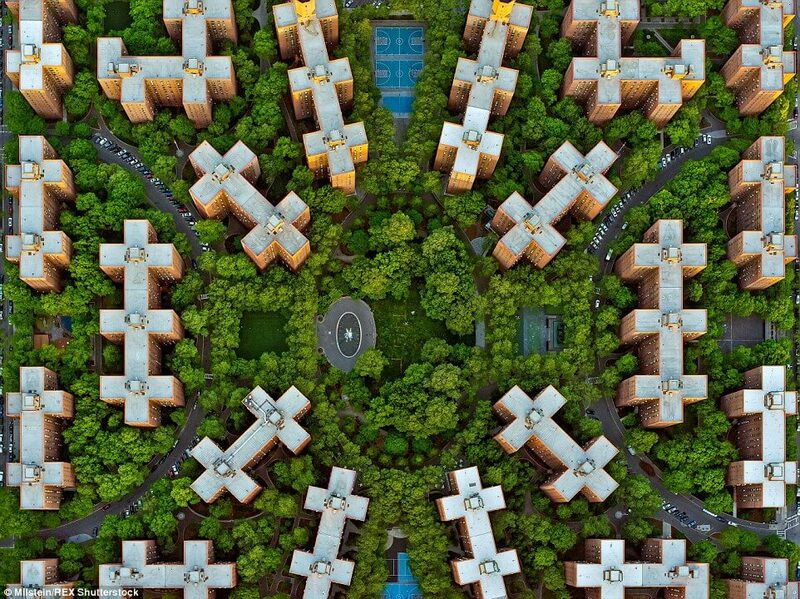 Another good example is the geometric site plan of Stuyvesant Town in New York City. 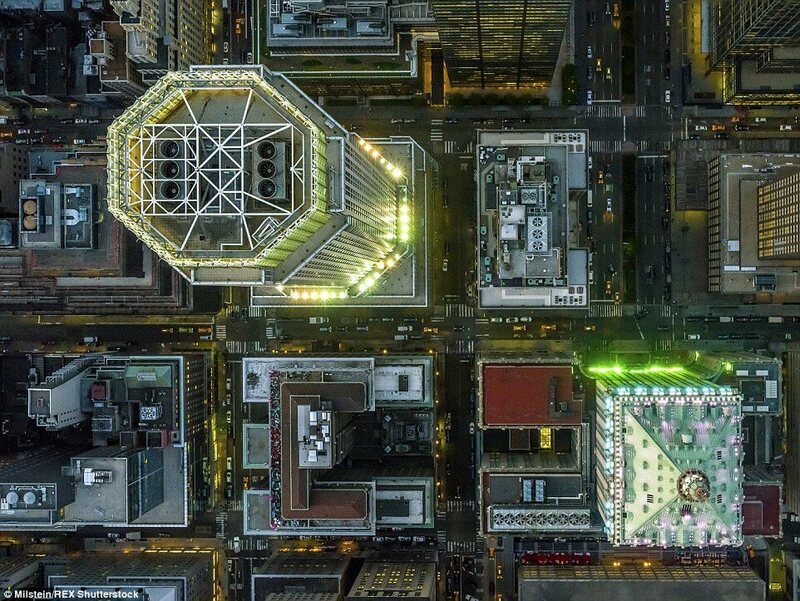 It’s easy to see the economic differences from high above the city of Los Angeles. 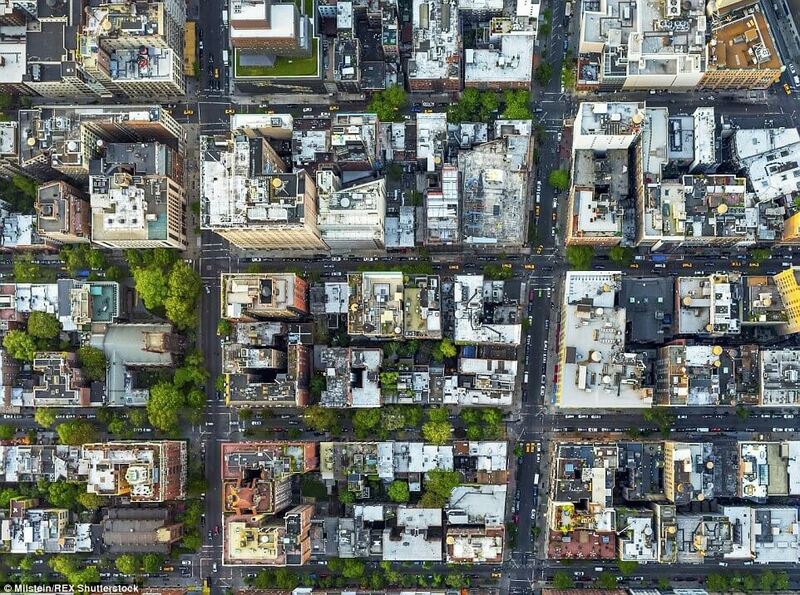 The color shifts as you fly over lower economic areas from brown toward a green and blue color in more wealthy neighborhoods which obviously have more pools, trees and tennis courts and their roads are more developed. 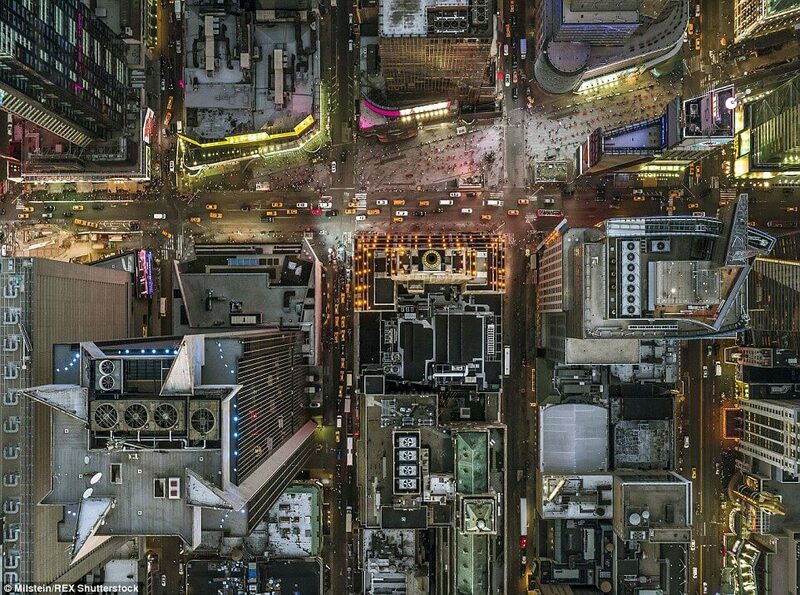 The American Dream is very eminent in the photos Jeffrey take. 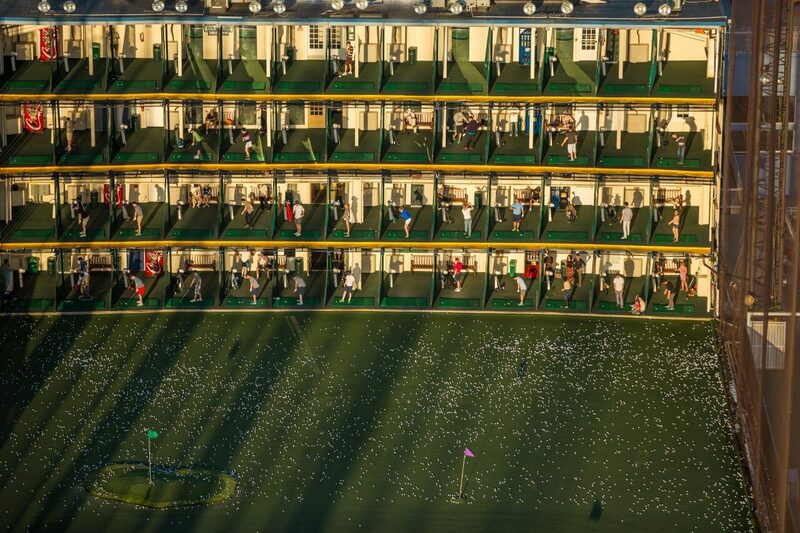 On one hand you can see green houses with huge tennis courts and pools and just a few miles away brown scenes with parched earth and broken houses struggling to survive. 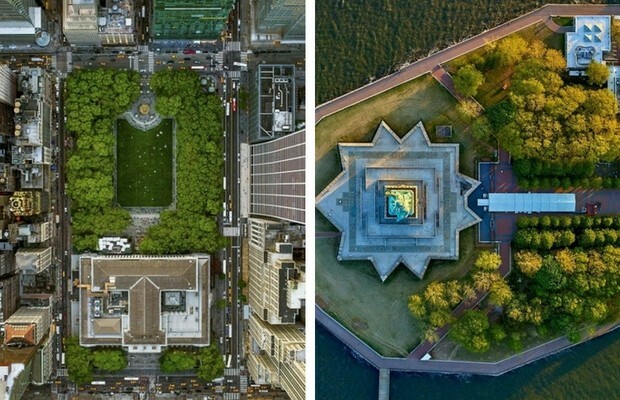 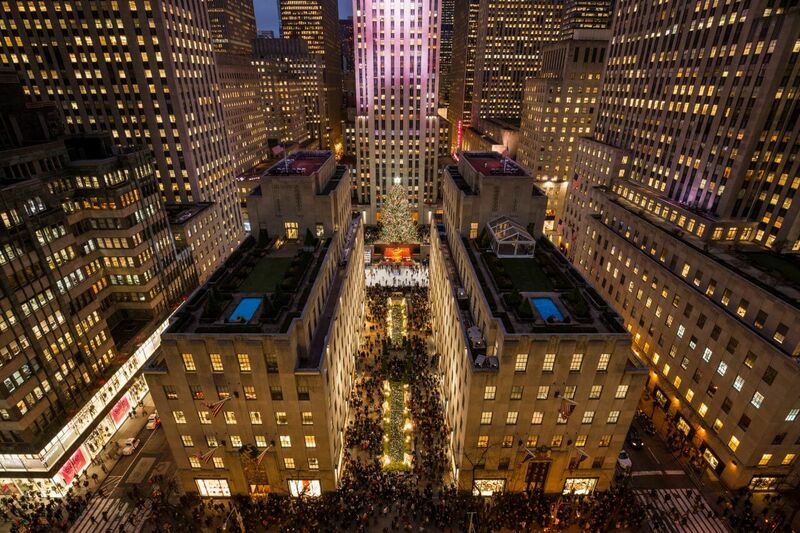 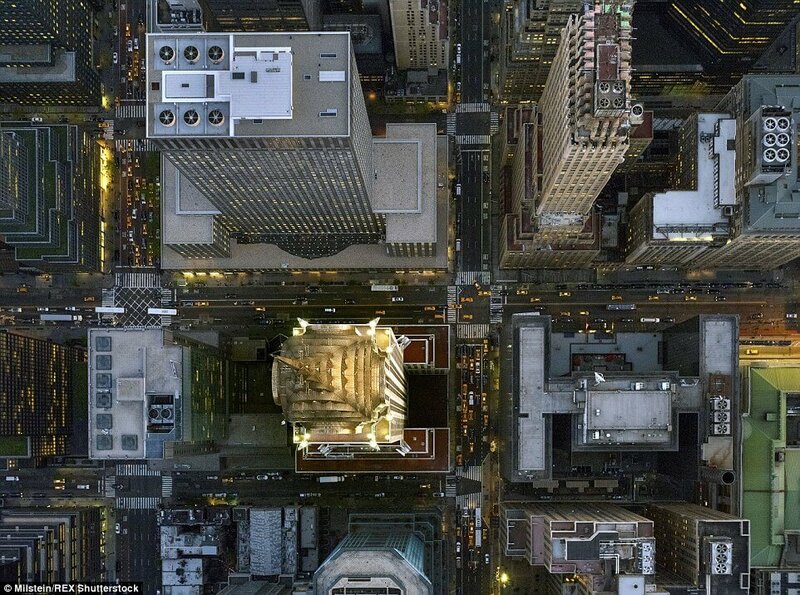 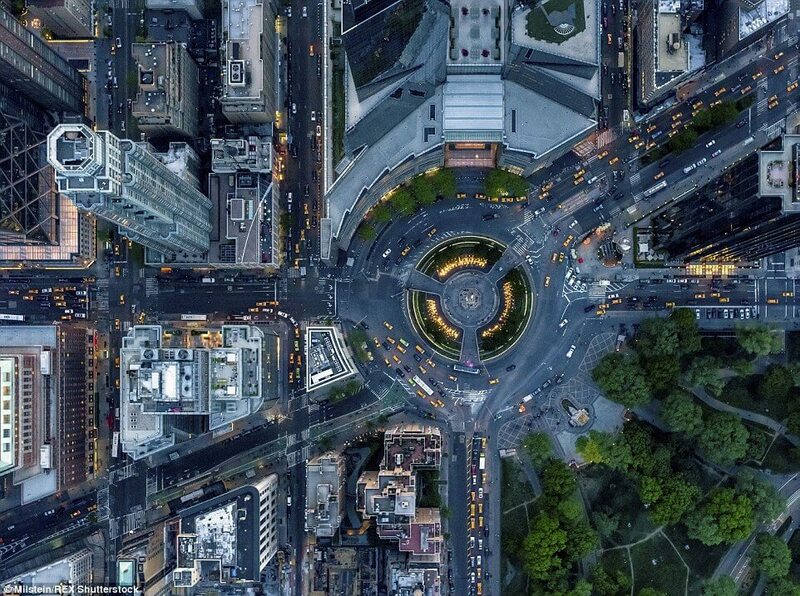 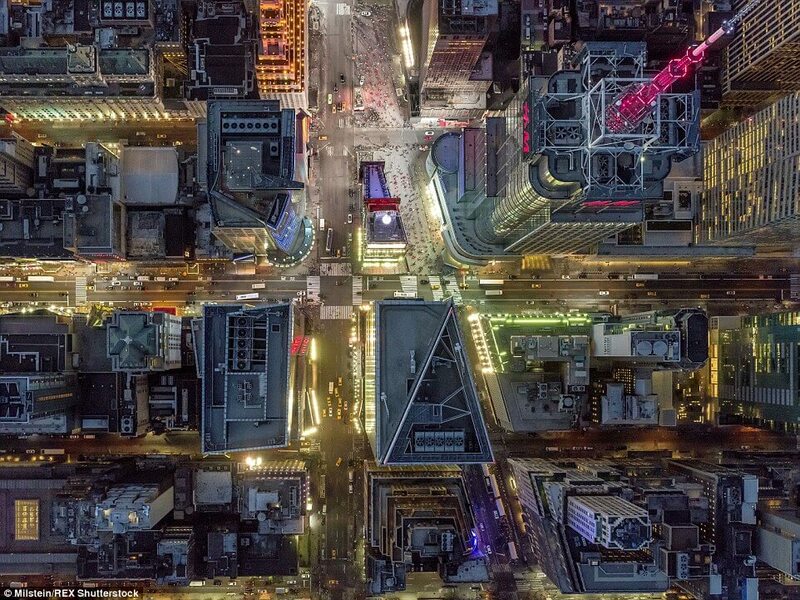 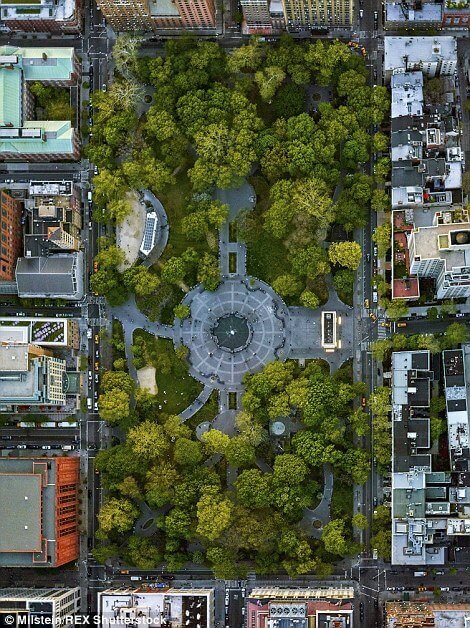 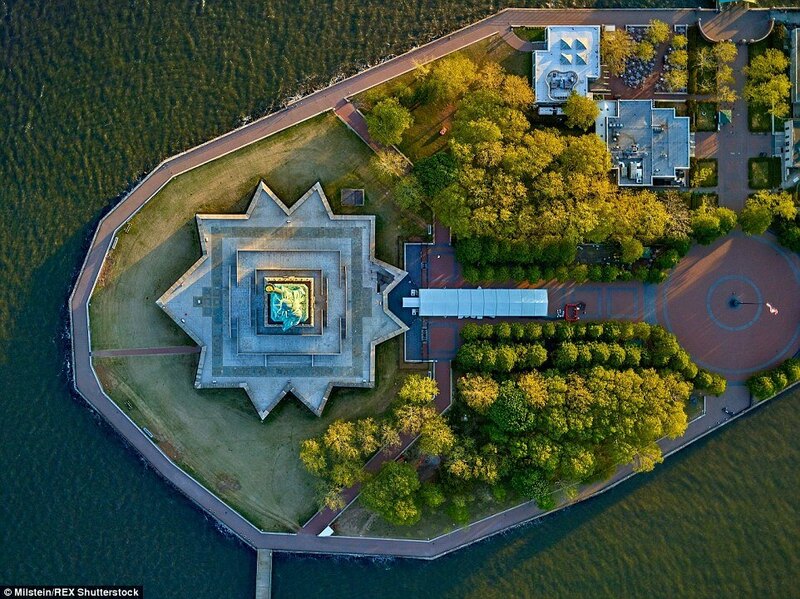 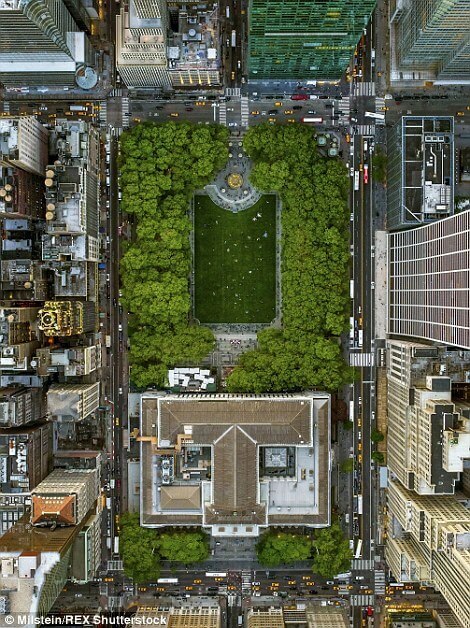 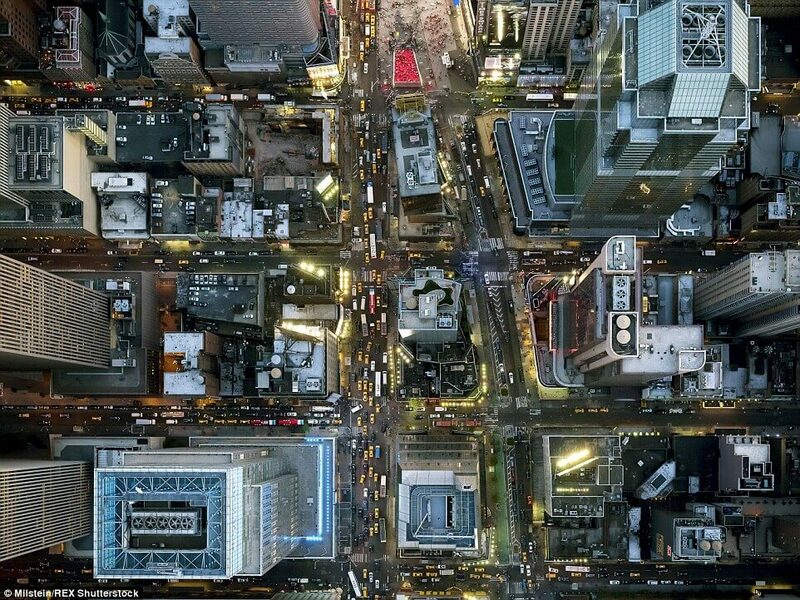 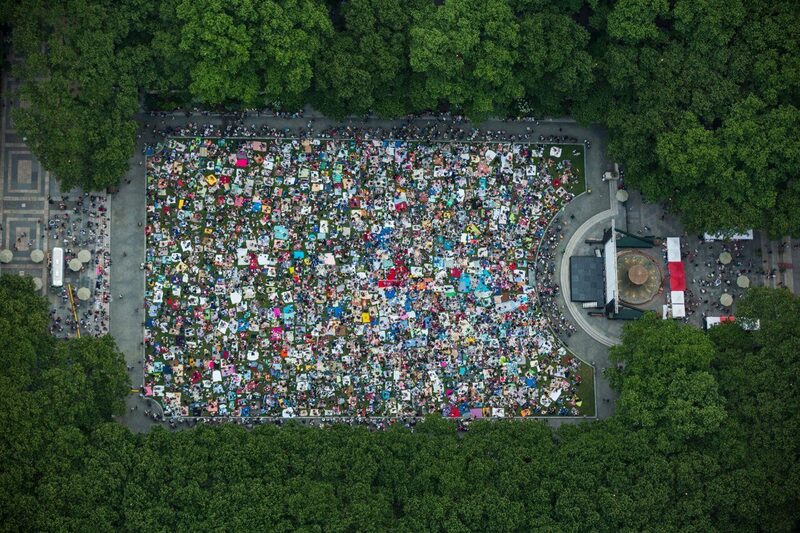 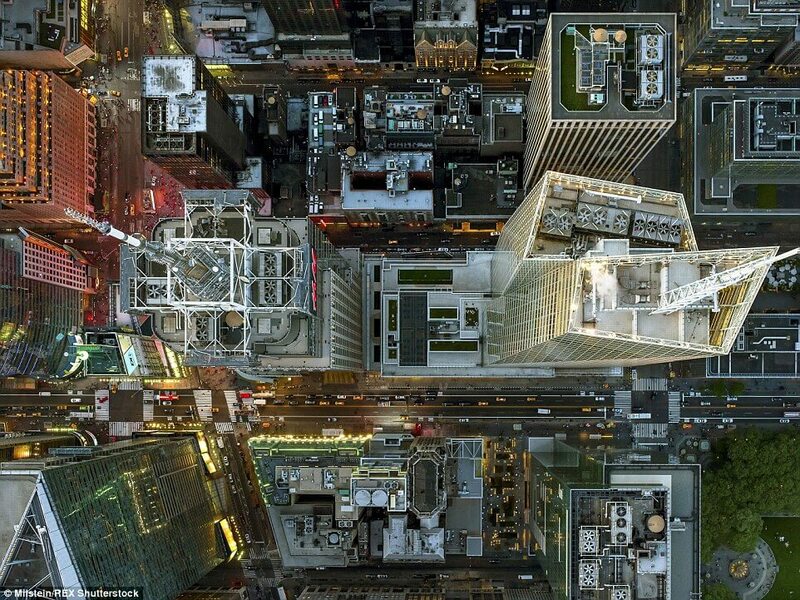 If you loved this gallery of New York City from above. 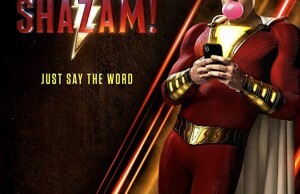 please share with your friends.